The most famous tin miner, opium farmer and contractor in the history of British Malaya, of course is Ng Boo Bee. Ng Boo Bee was the eldest of three sons of Ng Koh Sung and U Choot Kwah of Nan'an, Fujian. 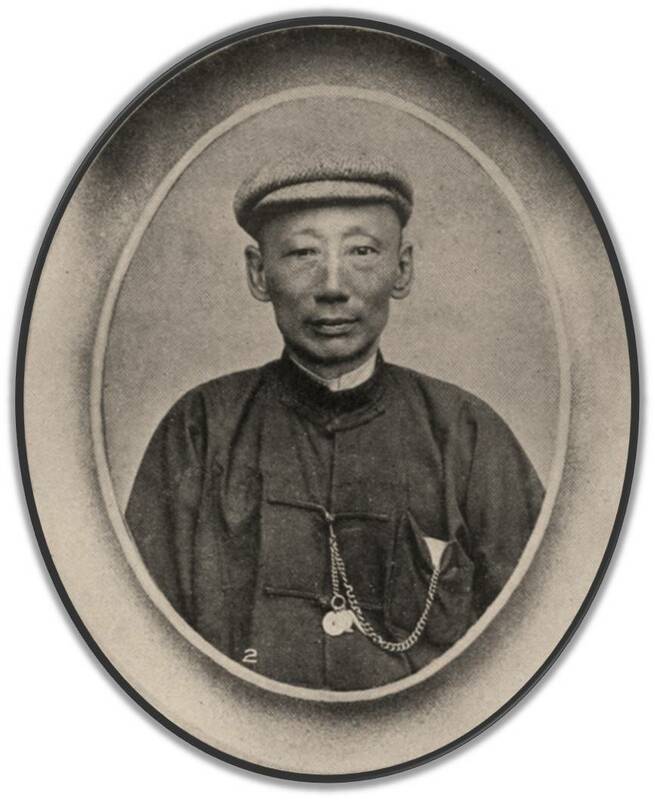 Educated in his native country, Ng Boo Bee's original name was Ng Chek Boo (黄则务), he first berth at Jakarta and later Medan before called at Penang in 1879. He spent a short time in the island before lived in various towns within Perak. Ng Boo Bee commenced his business in bricks manufacturing and timbers supply at Taiping, Ipoh and Telok Anson. His trading company was named under chop Swee Bee and commenced in construction industry. Ng Boo Bee was the contractor for constructing the first railway in Malaya which connects Taiping and Port Weld. He was famed for his tin mines at Kamunting, in which he had employed more than 3,000 Chinese coolies at one time. Ng Boo Bee was awarded a Mandarin title under Yan Yun Shi (盐运使) by the Qing Government for his meritorious services to his native. He was also appointed as Visiting Justice by the British government. Ng Boo Bee married Ewe Keoh Neoh (尤却娘) (b. 1868) and had seven sons and three daughters. 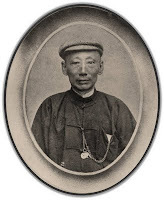 Lam Looking was the family's relative on the maternal side. Their second daughter married Chuah Yew Khuan and the third one married Lim Leong Hock. At the age of 60, Madam Ewe had six grandsons, they were Ng Geok Aw, Ng Geok Soo, Ng Say Tee, Ng Say Choon, Ng Say Thuan, and Ng Say Phuan, and seven great grand children. All the descendants were embodied in the family photo taken in January 1928, when Ewe Keoh Neoh celebrated her grand 60th Birthday at the family's residence. Ng Boo Bee died on 24 September 1921 and buried at the Taiping Fujian Cemetery. Ng Boo Bee's eldest son, Ng Ann Thye was the sole proprietor of his business. Ng Ann Thye a well known sportsman in Perak. He was a member of the Sanitary Board in Taiping where he resigned on 31 August 1917. His other son, Ng Ann Chung was the President of the Taiping Chinese Amateur Dramatic Association. In 1931, Ewe Keoh Neoh's eldest son, Ng Ann Thye sued his mother for the administration of accounts in connection with the estate of the late Ng Boo Bee which distributed over Penang, Taiping, Ipoh and Telok Anson and estimated to worth over million dollar. Ng Ann Thye alleged that his mother had been negligence in the performance of the duties undertaken in agreements concluded in 1924 under the will of Ng Boo Bee which was approved by the court. 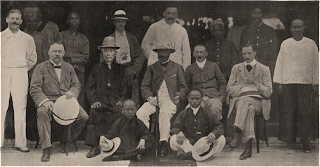 As a result, Ewe Keoh Neoh was removed from the trusteeship and Ng Ann Chung was entitled to accounts up the trustee on 24 August 1929. 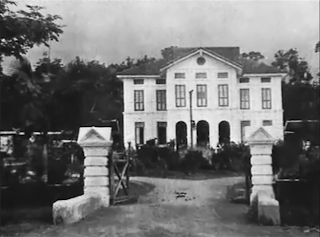 The Ng family residence was located at No 2, Upper Museum Road, Taiping and named as Birch House, the building was sold to the Taiping Buddhist Association. Re: Ng Say Tee  MLJ 177 — 1  High Court, Ipoh (Thomson J) ; Setting aside: Application to set aside creditor's petition and notice of bankruptcy. Summary: The bankrupt had prior to his bankruptcy executed a mortgage of his share in a residuary estate to the creditor to secure a loan. The creditor took out proceedings against the Official Assignee for payment of the loan and interest and in default of payment sale of the bankrupt's share in the residuary estate. Holding: A secured creditor's rights are governed by S 9(ii) of the Bankruptcy Enactment and he is entitled to proceed outside the bankruptcy and independently of it. My name is Alec Ewe, Ng Boo Bee is my second great uncle, in other words Ng Boo Bee's wife (Ewe Keoh Neoh), her elder brother (Ewe Hock Chye), is my greatgrand father. I belive in the group picture above, the man standing far right is my greatgrand father (Ewe Hock Chye), Ng Boo Bee's brother in law. I have pictures of both Ng Boo Bee's wife (my greatgrand aunty)and his brother in law. 2009 - 2019 Overseas Chinese in the British Empire. Simple theme. Theme images by gaffera. Powered by Blogger.